I spied this new Revlon concealer at Rite Aid and had an inclination to buy it. I don't think its new but for some reason it was pretty predominantly displayed which is why it caught my eye. I already have a great under-eye concealer (maybelline dream lumi touch) but I don't have a blemish concealer to speak of, so I thought I would give this one a go. I expect most stick concealers to be dry and difficult to blend, so I was happily surprised at how creamy this formula is. It goes on smoothly and blends well and can be used on dark circles as well as blemishes. Although it does a decent job with blemishes, like most concealers it can highlight dry, healing spots- I do feel it is one of the better drug store concealers though. The packaging of this product is unique in that the product clicks up when you turn the bottom. It clicks the first few times and then smoothly rolls up the rest of the way, kind of like a liquid concealer but in stick form. Revlon is using this clicking feature with their new lipsticks as well. I kind of like it but it isn't a necessity by any means. Other than the clicking, this packaging isn't anything special. The Photoready technology is meant to diffuse and reflect light, creating flawless skin in pictures. So this could be a good concealer to use when your going out for a night and know that someone will be snapping shots. Lastly, the color range isn't spectacular with just 6 colors- I chose 002 "light" and it seems to be a good match for me. 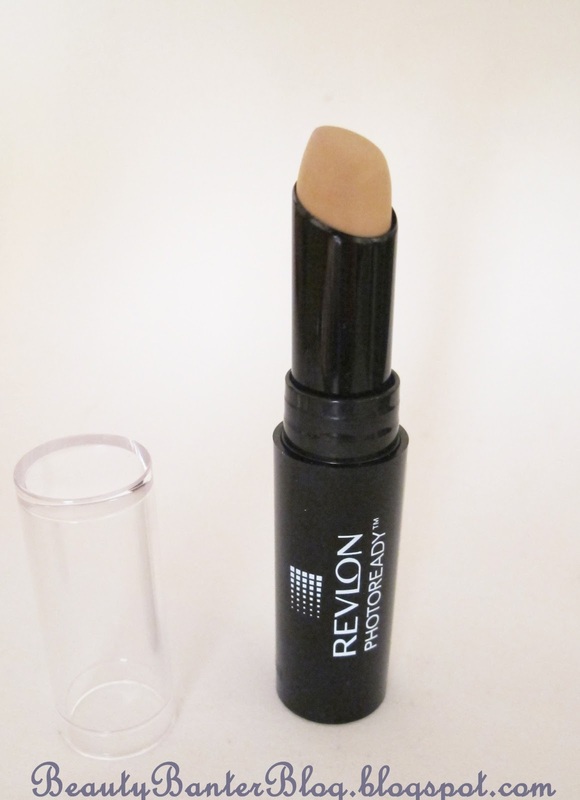 This concealer retails for a somewhat pricey $8.99 but there have been all kinds of sales on Revlon products lately! Overall, I am happy with this concealer and I think its probably the best drugstore stick concealer I have tried. However, you might be disappointed by the color range and the fact that its a bit pricey for drugstore. Do you have any "go to" concealers?! 5 Step festive eye makeup!